Whether you currently own a Linear Recumbent bike or are considering buying one you might want to know when and where it was made. Here are a few easy ways to narrow it down. 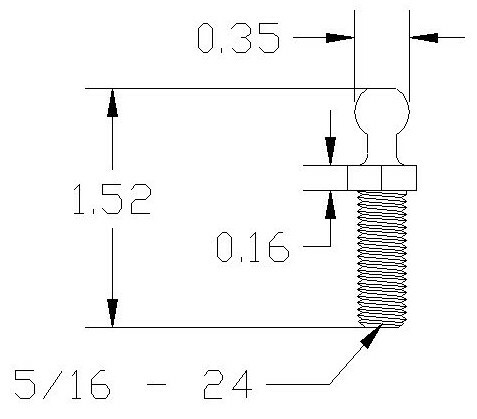 One of the easiest ways to date a Linear is by the type of rear brake it has. These LWB & SWB Linear Recumbent bikes were built in Iowa before 2002. This is the type of Linear Recumbent you are most likely to find for sale on eBay or Craig’s List. 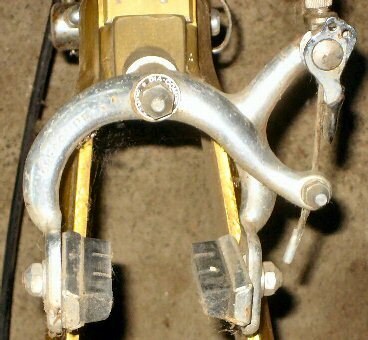 Between ~1999 and 2002 Linear bikes came with rear side pull and front V-brakes. 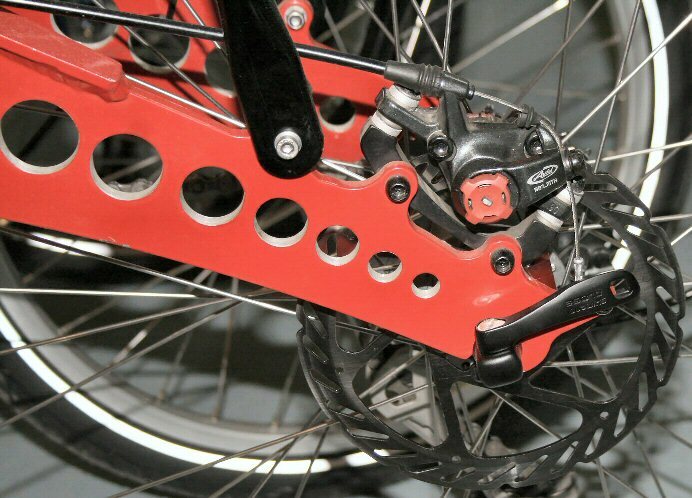 Safety info: the braking is poor because the plastic SRAM brake levers match the front brake, not the rear. 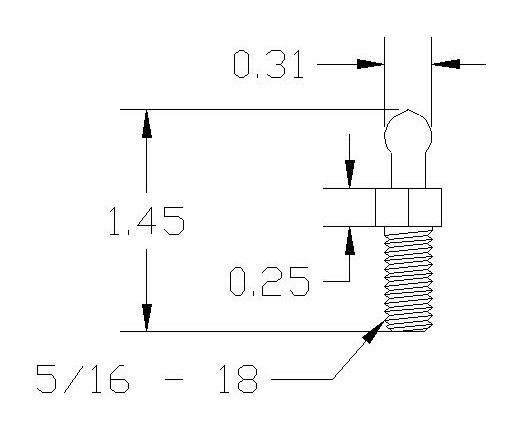 This puts the powerful brake in front where there is little weight or traction and a very weak brake in the rear where most of your weight and traction is. 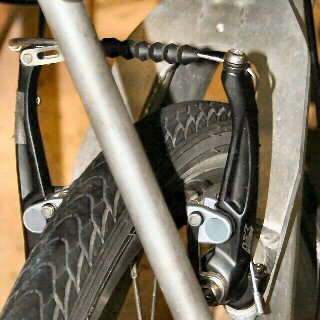 The rear braking can be improved inexpensively by replacing the rear brake lever with a cantilever compatible lever. Do not replace the front brake lever. These bikes were built in NY between 2003 and 2006. They have front and rear V-brake that work great when dry and OK when wet. 99% of their frames are not foldable. They have a NY designed brake mount that adds strength to the rear frame. The issues on our Iowa safety page do not apply to these bikes. 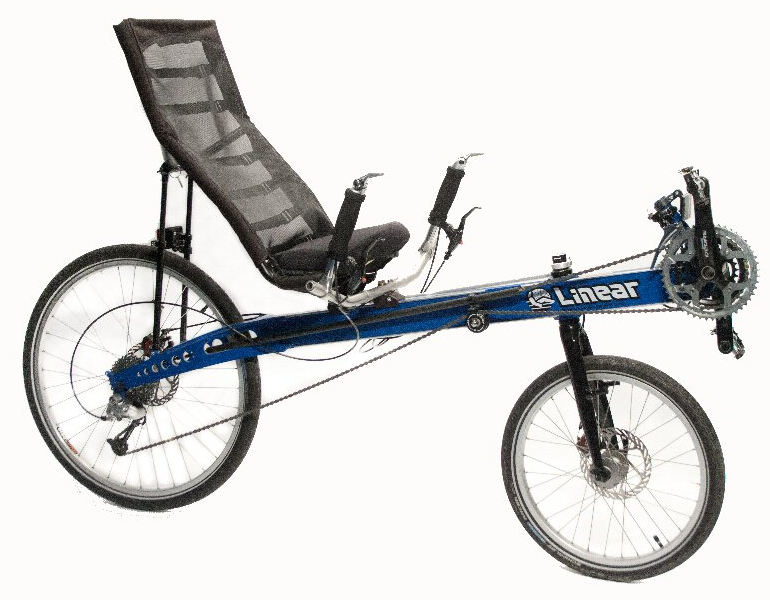 These LWB Linear Recumbent bikes were built in NY by Bicycle Man LLC starting in 2005. Their rear disk brake works great wet or dry. Their frame is computer designed and fatigue tested for strength. These SWB Linear Recumbent bikes have disk brakes front and rear that works great wet or dry. 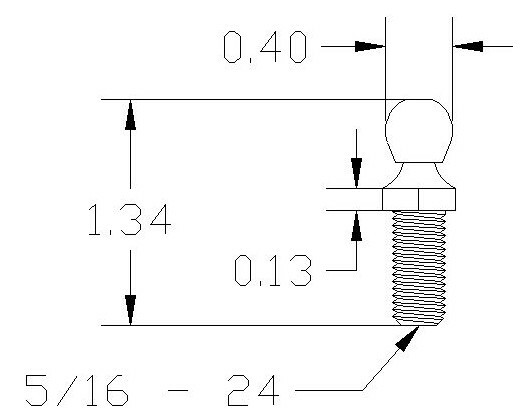 You can also date a Linear recumbent bike by its steering linkage ball studs.